Baron, Naomi S. "Are Digital Media Changing Language?" Educational Leadership 66.6 (2009): 42-46. Web. 18 Nov. 2013. Listfield, Emily. "Generation Wired ." Parade (2011): 9+. Parade. 7 Oct. 2011. Web. 18 Nov. 2013. 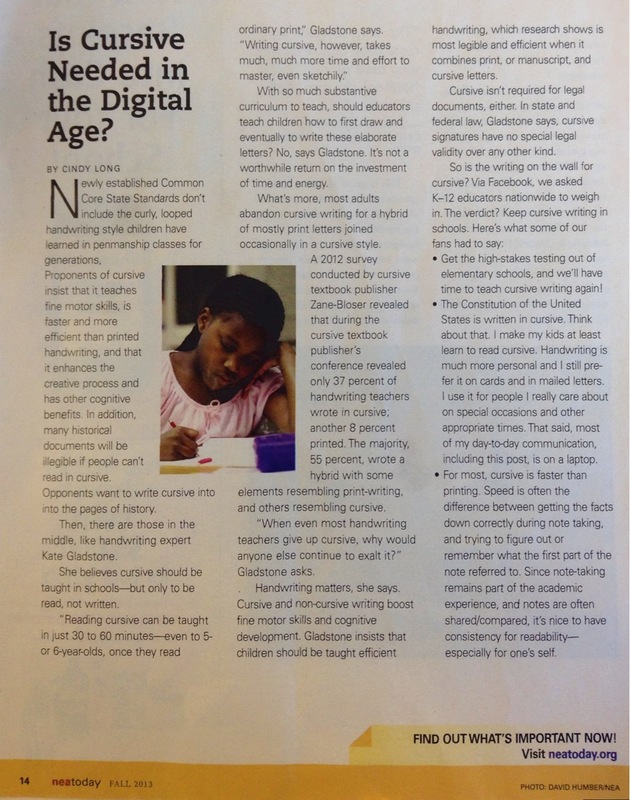 Do you feel that students should learn how to write in cursive? Use the RACE strategy to write a 150 word answer, and be sure to include evidence and examples from the video we viewed and the articles we’ve read in class. Video: Is Penmanship Being Written Off? Article #1: Should You Have To Learn Cursive? Article #3 Should Students Learn Cursive? Some States Say Yes. Texting too much is bad for student writers. Texting too much is not bad for student writers. Students should not have to learn cursive writing. Students should have to learn cursive writing. Digital media are changing language. Digital media are not changing language. Cursive is needed in the digital age. Cursive is not needed in the digital age. Penmanship is an important skill. Standardized spelling is not important.